Longstaff ruled out of Everton after leaving London on crutches – Set to see specialist – Report – NUFC blog – Newcastle United blog – NUFC Fixtures, News and Forum. 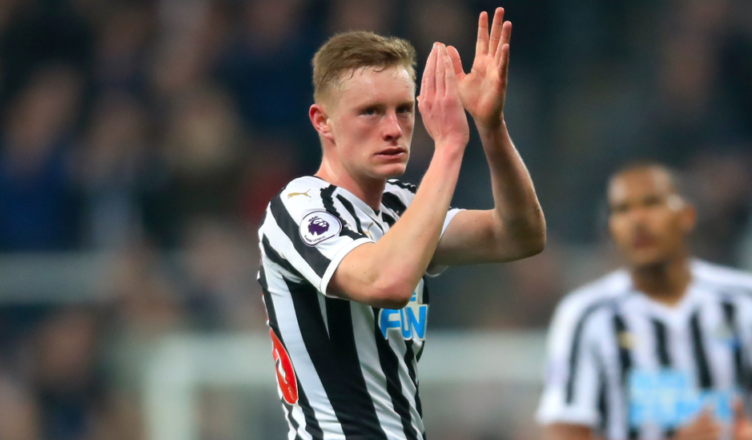 Sean Longstaff has already been ruled out of Saturday’s clash with Everton according to the Chronicle – with his hopes of an England U-21 call-up now ‘slim’ following this injury setback. Lee Ryder has also confirmed that the 21-year-old will see a specialist tomorrow. Results of yesterday’s knee scan are yet to be released, however it seems like he may be facing a spell on the sidelines – with him spotted leaving the London Stadium on crutches just a few days ago and it having already been confirmed that he’ll play no part this weekend. So Sean Longstaff had a scan on his knee injury yesterday and we’re still waiting for word on how long he’ll be out for. NUFC are unlikely to put a timescale on it but the clash with Robert Snodgrass will rule him out of this weekend’s clash with Everton and makes the possibility of a first England under-21 call-up slim. It’ll be a shame for him if that’s the case but no point in rushing him back and NUFC do have options in that department. And he’s certainly made an impact since Christmas. We may not get a definitive update until Rafa gives his presser on Friday – but don’t expect a timeline for his return. Sean Longstaff to see specialist tomorrow. Timescale on comeback yet to be determined and even this will be a first opinion. #nufc in good hands these days with injuries, Lejeune’s quicker than expected return a great example of that. The fact we have the likes of Ki, Shelvey and Diame means we are not short of midfield options to take his place, but this could be a real blow given how well he was performing. While we have ball players in Ki and Shelvey and a spoiler in the form of Diame, it felt like Longstaff could do both, with him not only showing his quality and calmness on the ball but never shirking his defensive responsibilities, with him always getting stuck in and often covering more ground than any other player on the pitch. He’ll be a miss, but let’s hope first and foremost that it’s a relatively minor injury that sees him back in action before long. Any serious damage that has him sitting out for a large part of the summer and over pre-season would be a huge blow given how much he’s progressed in a short space of time following his breakthrough into Benitez’s first team. Sean Longstaff to see specialist tomorrow for assessment on his knee. Still not known if he'll be out for days or weeks, clearer view expected next 48 hours. Fingers crossed it’s just a matter of days – not weeks or months! Sky’s double standards strike again – Bournemouth praised for the exact thing Rafa was slated for.. Final Premier League table & points totals predicted by data analyst – Interesting results for NUFC..
Club reporter reveals what’s going on with Antonio Barreca after 4 straight no-shows..